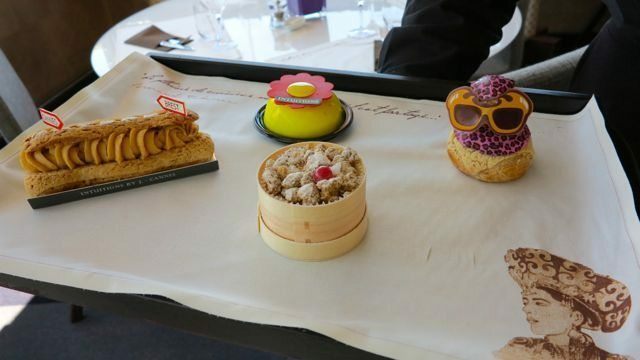 Lunching at Sea Sens restaurant in the stunning French Riviera town of Cannes was our first Michelin Star restaurant experience, well, sort of. 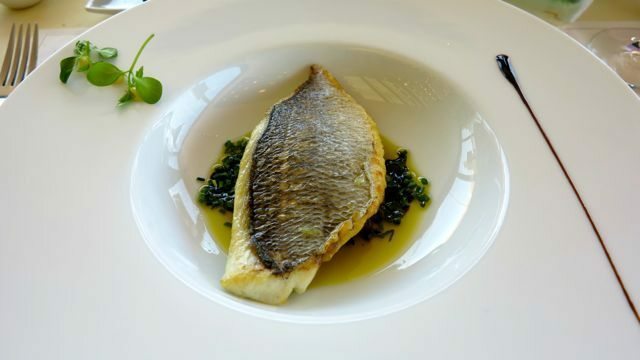 Serving French fusion food, it is a one-star restaurant – for dinner. 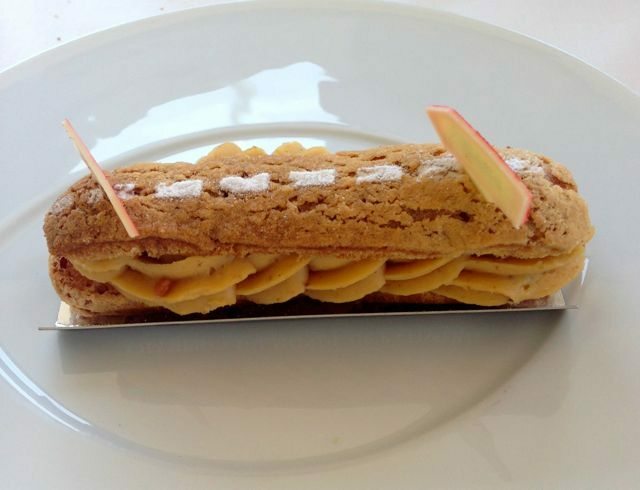 At lunch time however, they have a more economical set menu for lunch, prepared by the same executive chef Arnaud Tabarec and his team. For 29 Euro, we were treated to a three-course lunch and had a choice of two entrees, two mains, and four desserts. Great value for food of this calibre. 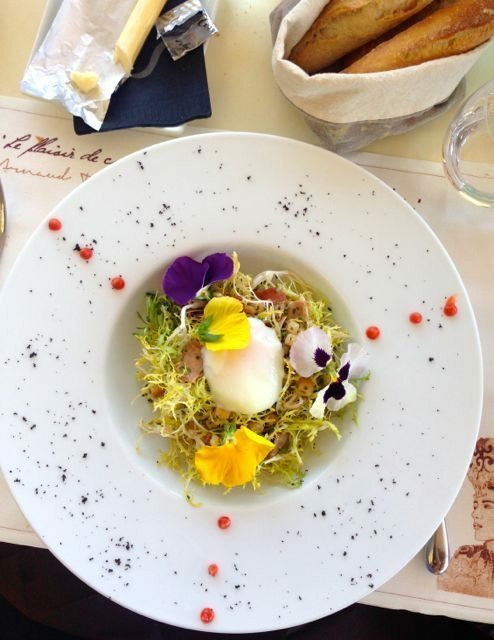 Set on the top floor of the beautiful five-star boutique Five Hotel, the restaurant affords views of Cannes roof tops and out to the harbour. The fit out is tres chic. 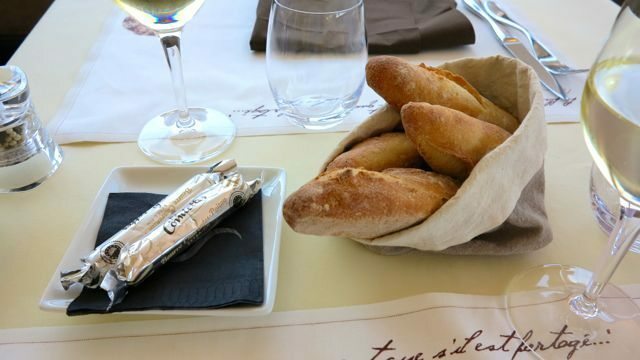 I love dining at places like this – it’s the little details like quality salt, house-churned butter wrapped like sweets, and a bottomless breadbasket filled with crunchy mini-baguettes. Add exceptional service, the stunning surrounds and faultless food and we have an unforgettable experience. The entree of curly lettuce, pancetta and poached egg was as pretty as it was satisfying. The slow-cooked egg was cooked to perfection and once broken, became a silky sauce over the salad. Little croutons added texture, and the flavour balance was perfect. I could eat that dish every single day. Main course was sea bream with a tomato and basil salsa. It was much more than tomato and basil, it also had olive, eggplant, capsicum and onion. I know this because I asked Chef Arnaud when he came to our table to see if we were happy with our meals – a lovely touch. The fish was perfectly cooked, moist and flakey. The salsa was a gorgeous accompaniment, slightly salty yet balanced beautifully with the fish. Dessert was a difficult choice. I chose the cheesecake served in a mini asian steam basket. Passionfruit zing in the smooth cheese filling was really gorgeous. Once I tasted Zorba’s creme patisserie, I had food envy. It was silky and packed with smooth hazelnut flavour, with some crushed nuts for a surprise texture, and a gorgeous outer pasty. I should have listened to the waiter when he said it was his favourite dessert. 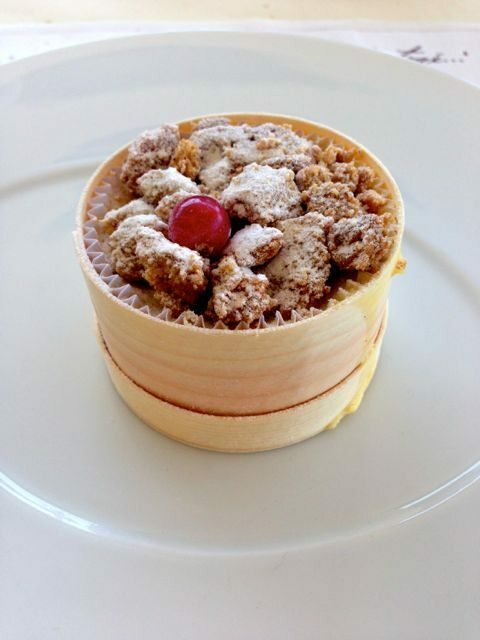 It’s worth going to Sea Sens for dessert alone – they are all created by the World Pastry Champion, Jérôme De Oliveira. Accompanied by a couple of glasses of French Chablis, it was a decadent lunch that has given me a taste of Michelin star quality. Don’t miss this place if you are lucky enough to visit Cannes. Bookings not required for lunch. Thanks Lonely Planet for the great tip!